Master Box Dimension : 21" X 17" X 17"
It's time for your child to become a rock star they are! 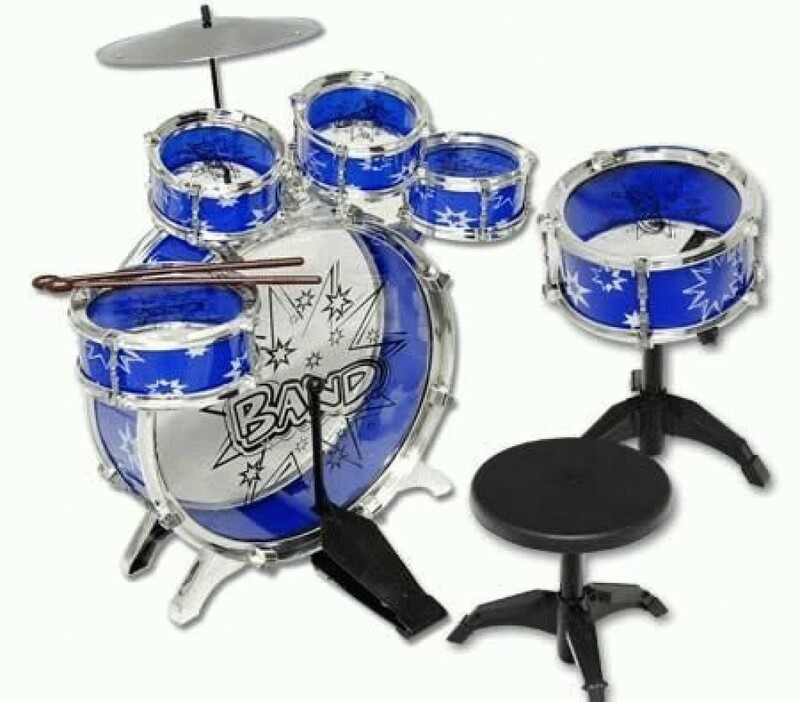 This drum kit playset is a great way to get your kids to be interested in a musical instrument. The playset has the whole complete set with the snares, bass, symbol and even more. Kids who general start music in their early age, they can possibly develop better hand-eye coordination and help stimulate creativity. The sounds coming from the drums, sound exactly like the real ones. Get your child in rhythm! Sounds almost exactly like the real drum kits.